French insurance giant AXA now has access to new capital solutions to help it to optimise its business, with the reinsurance and insurance-linked securities (ILS) operations and access to the capital markets that come with its acquisition of XL Group offering a new lever for efficiency, according to CEO Thomas Buberl. As we wrote earlier this week when the $15.3 billion acquisition of XL Group by AXA was confirmed, one of the rationale behind the M&A deal is the enhanced access to alternative capital that AXA will benefit from. XL has established a robust use of the catastrophe bond market, ILS and other forms of collateralized reinsurance, with now around $3 billion of alternative capital leveraged through those sources and its stake in ILS fund manager New Ocean Capital Management. AXA clearly recognises that and appreciates the way this has helped XL achieve growth on the front-end, particularly of its commercial P&C business, while making use of alternative capital on the back-end to manage its exposures. CEO of AXA Thomas Buberl discussed reinsurance and how AXA views both the underwriting of it and use of it to manage volatility and exposures within its business. The acquisition of XL Group now expands AXA’s reinsurance operations into a leading global specialty P&C focused player. “I have been asked a lot ‘are you going to get rid of the reinsurance?’ The answer is no,” Buberl explained. “Why is the answer no? 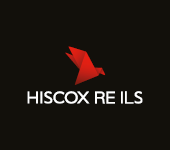 Because we do believe that the market has completely changed in terms of blending the reinsurance and primary insurance together. AXA has a huge global insurance operation and leveraging reinsurance and the capital markets to optimise it would be potentially transformational for the company, allowing it to better control its exposures while still growing the front-end underwriting of the business. It seems this is not just a strategy of offloading risk, that Buberl wants to follow, rather it is one of optimisation and leveraging the best sources of reinsurance capital to add efficiency and reduce volatility within his business. That makes a lot of sense and this access to the capital markets seems an increasingly important rationale within the insurers reasoning for the approach to XL Group in the first place. AXA has always been relatively conservative in catastrophe risks and Buberl notes that XL has an established specialism in selecting the risks to keep which do not add too much volatility to its book and using reinsurance or retrocession where appropriate and helpful. The upshot of this is that AXA it seems may use even more reinsurance and while there are clear synergies in reinsurance, which could have led it to use less after the acquisition of XL, Buberl does not see this as likely it seems. “The reinsurance synergies that are also quite high considering that these are net reinsurance synergies. So, I said earlier we will not run the XL business with the same risk appetite that XL has run it. We will reduce it, and obviously this will cost us in reinsurance,” Buberl said. That could bode well for the ILS market, as AXA has tended to be a little slower on the uptake of ILS than some and very price sensitive. The company decided not to renew its Calypso catastrophe bond this year due to the competitive price of traditional reinsurance for European perils. But with XL already a strong user of cat bonds and other ILS or collateralized protection and the XL book taking AXA more deeply into new peak peril zones, we could see the use of ILS increase, as the XL book grows with AXA’s help and deeper distribution reach, while also seeing more risk through the optimisation of the AXA business that Buberl promises. It seems this will be more about protection for AXA, reducing volatility, lowering peak exposures and leveraging reinsurance capital and the capital markets to support front-end growth, in the vein of XL’s strategy of recent years. It’s not about driving material changes in the amount of capital the insurer will need to hold, reinsurance will not do that alone. Rather it seems this is about optimising the business, making best use of risk capital sources, and driving growth, all while reducing volatility from peak perils and maintaining a relatively conservative exposure to them over all. In terms of strategy this makes perfect sense and it is encouraging to see an insurer the scale of AXA recognising the potential for alternative capital, ILS and the capital markets to provide support that is additive in the long-run, rather than just being a hedging channel. 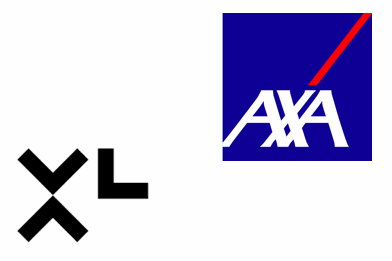 – AXA confirms XL acquisition, cites diversification & access to alt capital. – AXA reported to be in discussions to acquire XL Group. – XL uses New Ocean & new quota share in alternative capital expansion. – AXA not renewing its Calypso cat bond for 2018. – Swiss Re / SoftBank, XL / Allianz – scale, relevance & transformation. – XL upsizes alternative capital use to $3bn, to support front-end growth.